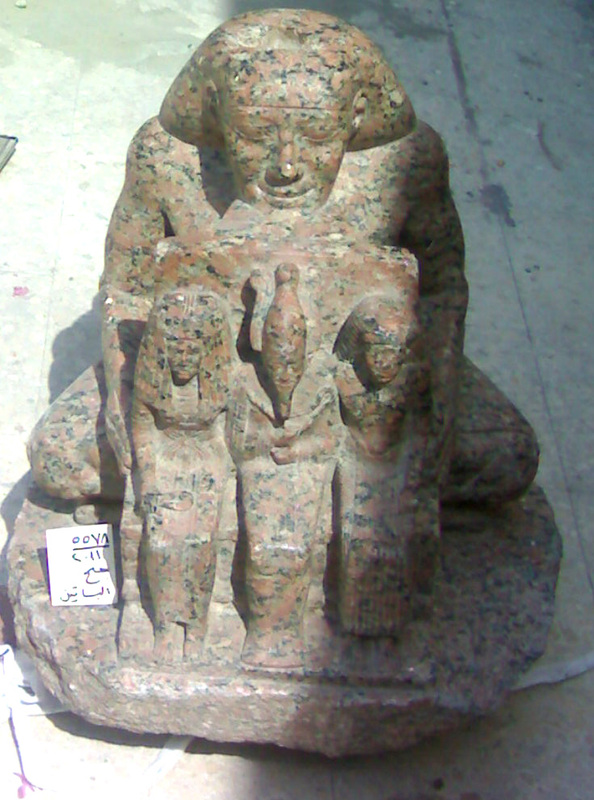 A statue was seized and kept at a Police station in south Cairo and a committee was formed from the Ministry of Antiquities to check if it is genuine. The statue represents a priest sitting with 3 figures represents Osiris, Isis and a priest. The statue bears hieroglyphic depictions. The pink granite statue measures 56 cm high a d 28 cm wide. 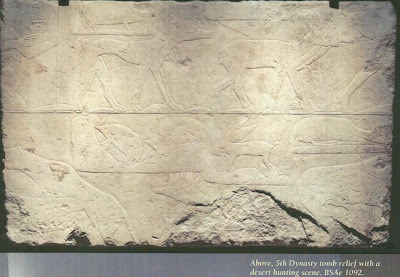 A limestone stele of the Old Kingdom period (c. 2649-2134 BC), depicting a hunting scene from the daily life of its owner, is to be returned to Egypt by the Museum of Basel, Switzerland. The stele is 51 cm high and dates to the 5th Dynasty (c. 2465-2323 BC). The Museum is returning the artifact to Egypt later this week as part of the repatriation campaign of Dr Zahi Hawass, Minister of State for Antiquities (MSA), who, in 2002, when he was still the Secretary General of what was then the Supreme Council of Antiquities, threatened to cut scientific and research ties with any museums, universities or other institutions that held stolen antiquities from the country. The Museum of Basel has volunteered to return this piece and has already sent back the eye of a colossal quartzite statue of Amenhotep III (c. 1390-1352 BC) found in 1970 at his funerary temple in Kom el-Hettan on the west bank of Luxor. The eye was smuggled out of the country, then loaned to the Museum by a private collector where it was recognized by an Egyptologist and returned to the Egyptian Museum, Cairo, in October 2008. Dr Hawass stated that the MSA is still continuing to pursue its campaign to repatriate stolen artifacts with determination and perseverance. In response to foreign criticism that the situation in Egypt is not safe enough for objects to be returned, Hawass pointed out that of the many museums in the country, the Egyptian Museum was the only one to suffer during the Revolution. The Museum was protected by a human chain of young people demonstrating in Tahrir Square and the one million tourists who were also in Egypt at the time all left the country safely too. Hawass argued that if what happened in Cairo – that the police abandoned the streets for 4 hours on January 28, 2011 – had happened in any other city in the world, then there would be chaos, thefts and destruction on an even greater scale. Therefore he is still insisting that artifacts stolen from Egypt should be returned and added that many other pieces are due back soon from the USA.